Seven simple resolutions that will help your Hamptons Business. Resolution 1. Say yes! To local charities, to the Blood Drive, to a college student who needs a mentor…doing good not only feels good, it’s good for your business. You’ll build your reputation and make more friends. Resolution 2. 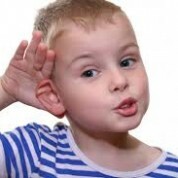 Talk less, listen more (yup, just like Mom said. Well, not Lynn’s mom, but..) It works. If you’re a Hamptons landscaper, builder, designer, or architect, your clients’ want to be heard. Listening breeds loyalty. Resolution 3. Get out there (without leaving your chair). Everyone, even your great aunt, is on Facebook. Is your business? Some marketing folks think that Facebook’s new link posts will be the biggest game changer in driving web-traffic this year. Facebook recommends uploading an image 1200 X 627, but all you really need is 400 X 209. If you want to drive traffic to your website, consider Pinterest, the fastest growing social media tool. Resolution 4. Hit the road. With the right graphics your company’s cars and trucks can be one of your best marketing vehicles (pun intended). Every time you drive down 27 or up 114 you’ll be advertising your services. Consider painting your entire fleet a distinctive branded color like Landscape Details did. People say they see the trucks everywhere. Resolution 5. Increase your net worth, by building your network. 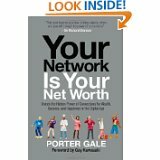 Our friend Porter Gale wrote a best selling book: Your Network is Your Net Worth. For a few hundred dollars of year, you can join your local chamber of commerce. You’ll meet colleagues and prospective employees, get a strong back link to your website, reach prospective new clients and get invited to lots of lunches and mixers. Here are links for East Hampton Chamber, Montauk Chamber, Sag Harbor Chamber and the Southampton Chamber. Resolution 7: Get a facelift. A little nip and tuck on your logo can freshen your image, make your name more memorable, and give your prospects more confidence in your company. Updating your website will make it more appealing. (Have you ever noticed how often stores change their windows, well, your website is your “storefront.”) Hey, it’s the Hamptons, looks count. Have a happy, healthy and prosperous New Year everyone! Previous: Thanks to You, We Won! Next: It’s Spring in Montauk! Another “couldn’t have said it better myself” blog Lynn and Jill, always such a pleasure to hear it from you guys! I’m lucky to be in the position of having been a Public Relations Consultant before Hampton Coffee Company (although for non-profit organizations) so I am able to bring these aspects to my for-profit business today. But they are really such nuggets of wisdom that I try to bring up whenever I’m involved in a business panel or mentoring program, so thanks so much for bringing them up here and please consider joining us on the Westhampton Beach Business Advisory Board. Although it would be a little hike for you guys, it’s only once a month, and WHB Schools encompasses about half a dozen communities, and as you mentioned, what a great opportunity to network with adults while really helping to shape future leaders.